Apartment Dajana is situated in a small village of Jasenice-Maslenica. Located in a quiet area it offers its guests a peaceful vacation with a lot of privacy. The nearest local beach is only 200 meters away. This first floor accomodation with private entrance offers 2 fully equipped apartments, private swimming pool and beautiful terrace with BBQ facilities, It provides total privacy for its guests. Each apartment features 1 comfortable bedroom, modern bathroom, spacious living/dining room, fully equipped kitchen and grat sea view balcony. Each living/dining area offers a good quality double sofa bed, TV, as well as air condition device. Apartment Dajana is a perfect accomodatioon for 8 persons. The entrance to the most important climbing centre in Croatia, national park Paklenica is 12 km away. 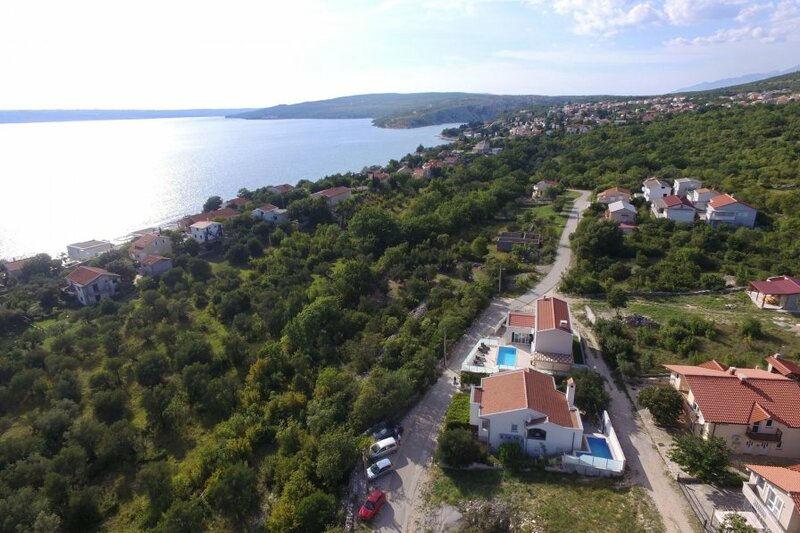 Proximity to Velebit with its parks, caves, paths and bike routes makes this area attractive for those who search for an active vacation. Historic town of Zadar is only 28 km away. Within the 1.5 hours driving distance you can visit national parks Plitvice lakes and Krka waterfalls. Boat excursions to the national park Kornati islands are organised on daily basis.